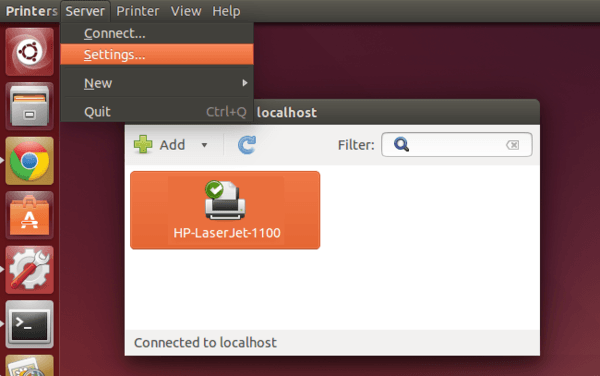 This quick tutorial is going to show you how to share a wired printer in Ubuntu 14.04 Trusty over local network. To get started, open Printers utility from Unity Dash search results or System Settings. Check the box where it says “Publish shared printers connected to this system” to enable network sharing of connected printers. Finally, right-click on a printer in the list and go to its Properties window. Under Policies tab, make sure all three boxes (Enabled, Accepting jobs, and Shared) are checked. 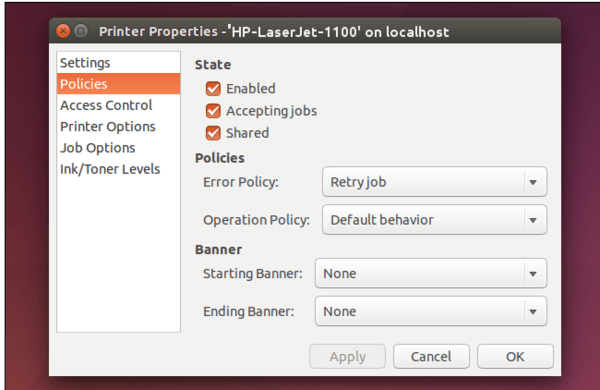 Now you’re able to connect to this printer from Ubuntu/Windows client using Internet Printing Protocol (ipp://ip.address.or.name/printers/Printername). Really only showed half the steps. You should extend this to show setting up the printer on another computer once it’s shared as well. wehn i m trying to install sharing printer hp lajerjet p1007 in ubantu 14.4 but it is not showing in network …….so pls help me out………..
Well, with regards to the complaint from the probable shill for Microsoft, I can testify that I wasted some hours trying to share the printer while it was connected to a Windows 7 computer, and failed miserably. My actual intention was to share it among many computers, but I couldn’t even get the private Microsoft-only sharing to work properly. However, I do agree that the instructions need to go to the next step of accessing the neighboring computers over the network, but at least now I’m sure it isn’t Microsoft’s diabolical plot. Pretty suspicious that it’s something in my WiFi router settings… At least Ubuntu gave me the hint, whereas Microsoft said nothing.